I’m so excited to finally share with you my other baby! Hello Jane for Windham Fabrics. This is my fifth fabric line…and I still get incredibly nervous to show it off for the first time! I’m in love with the purple in this line, it’s the perfect mix of lilac and violet. This line got the name “Hello Jane” because I was literally working on this line while I was in the hospital saying “hello to Jane” for the first time! I was in the hospital for 5 really long days, so it was a welcome distraction. This fabric will always remind me of her as a tiny newborn baby. There is also a punch of red (of course), tangerine, and yellow. Plus green, teal, and aqua because I would die without aqua. This line comes to stores in late May…and I’m so excited it’s coming out before the summer! Also less time to wait. 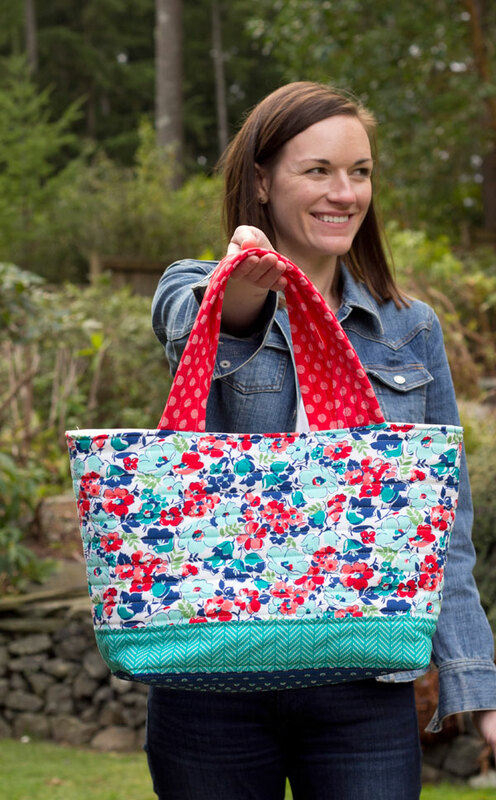 The main floral and loopy floral are based off feedsacks from my collection I started when I lived in Ohio. I’ve used one in almost every collection and it’s like my memories are wrapped up in these prints. 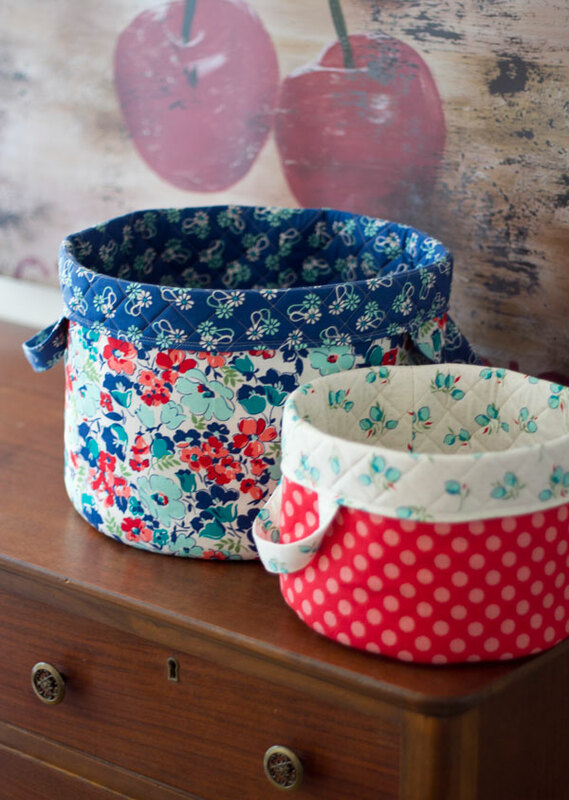 Kaitlyn made these darling baskets for me with her new pattern, Olivia’s Baskets (pattern here). My extremely talented friend Megan made these amazing dresses for my girls. They are gorgeous. I am NOT a bag maker. I could have made a whole quilt from start to finish before finishing one super simple bag! ;) In my defense though I thought I’d just make up a pattern as I go…not my best idea ever. I’m sorry ahead of time for the overload of pictures and posts that will soon follow! I have a few quilts to share and since this post is getting mighty long I’ll post within the next few days. Oh and Happy Valentines Day! This weekend I went to dinner and a play in Seattle with some girlfriends… so I told Jay he was off the hook for a Valentines dinner/date. You should have seen the relief on his face! ;) Truth be told I don’t think we’ve ever gone out on Valentines Day…I’m such a homebody! Oh my goodness! 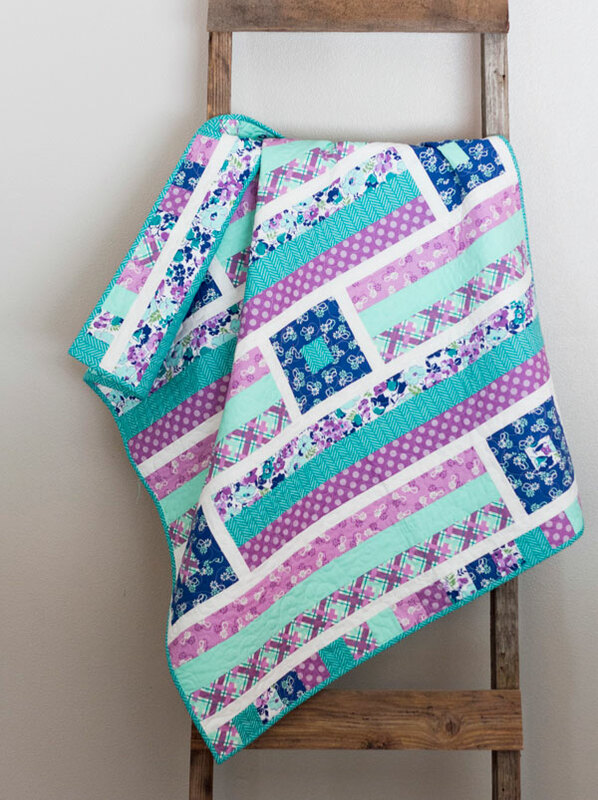 Please never apologize for too many pictures or too long a post when it is filled with gorgeous fabric and beautiful quilts, clothes, and projects for inspiration! I’ve loved all your fabric lines, and have made quilts from your book. You have just increased my “must make” list by a mile! Happy Valentine’s Day to you, your obviously supportive husband, and your very cute kids! Eek! They look so darling on your girls! And thank you for letting me create something from your amazing collection-you are the amazingly talented one!! I am such a die-hard purple lover that I will definitely buy this collection! How sweet that you named it after your daughter and how being in the hospital inspired you…love it all! 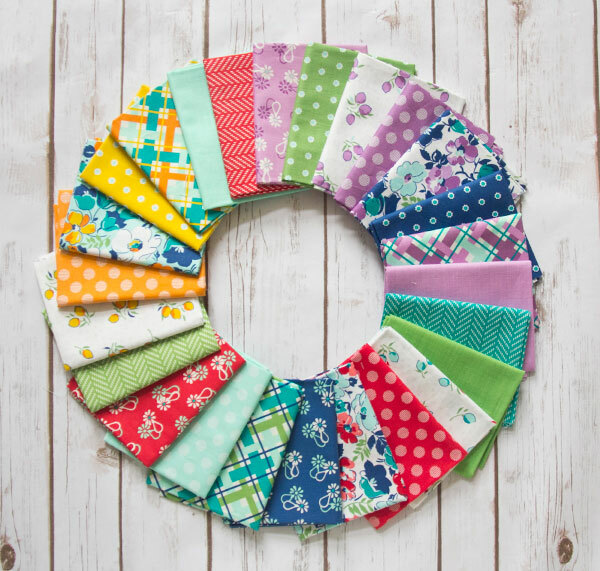 Such a great fabric line! It manages to be fresh and still have a little retro vibe.I think I’ll start planning something fun for it now so it doesn’t languish in my stash because I’m sure I’ll be buying some. I love this beautiful new line of fabric so much!!! So darling, and I must know the name of the pattern for the diamond-shaped quilt. (Swoon!) I searched in your pattern shop, but didn’t find. You are a super talented, young lady. Thanks for sharing your talent with the rest of us!!! It’s called Cascade and I’ll have it in the shop in the next few days. Thank you so much! Love the saturated colors in your line! Beautiful! Love, love, love these colors together! They are my favorite colors ever! 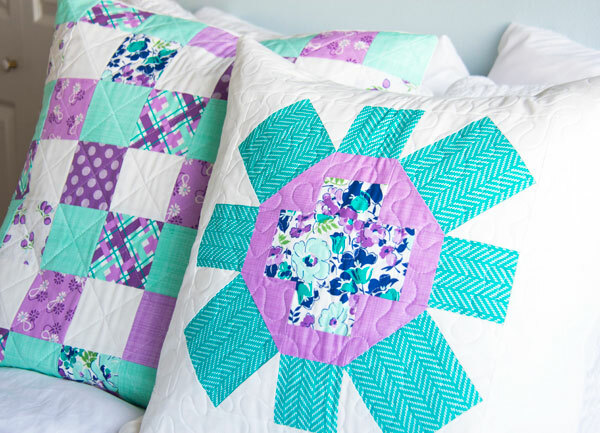 Do you have the triangle quilt pattern that is on the first page? I want that pattern! I’m crazy for these purples. Sure hop they come before May! I’ll get it in my shop tonight! I’ll blog it soon! Love this new line. Hoping our quilt store carries it. 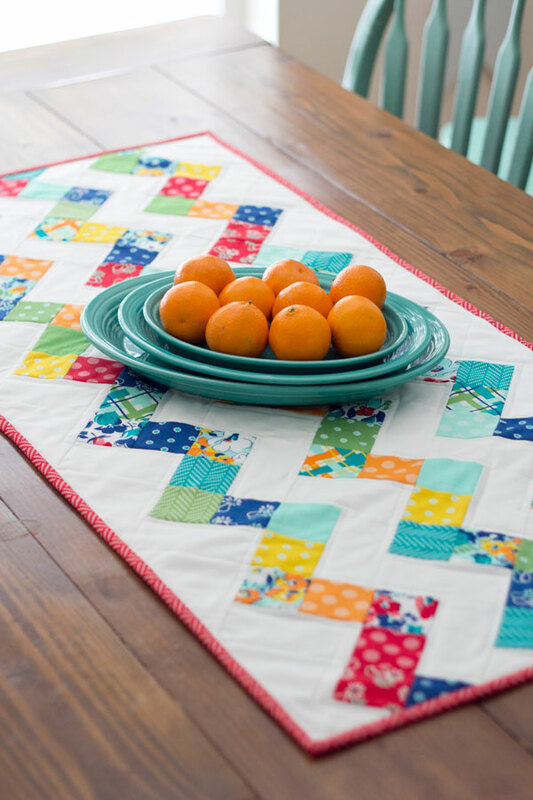 Want to make the table runner. I also don’t mind lots of pictures! Love the fabrics, will be happy to get them in my hands. Btw, you can’t have too many pictures. the purples are awesome!! I’m not a fan of blue, but I like the way they combine with the purples. well done! Beautiful fabrics! We have our own Jane who arrived teeny tiny, too! This is one of the prettiest fabric lines ever! Gorgeous…the fabric and the girls!!! 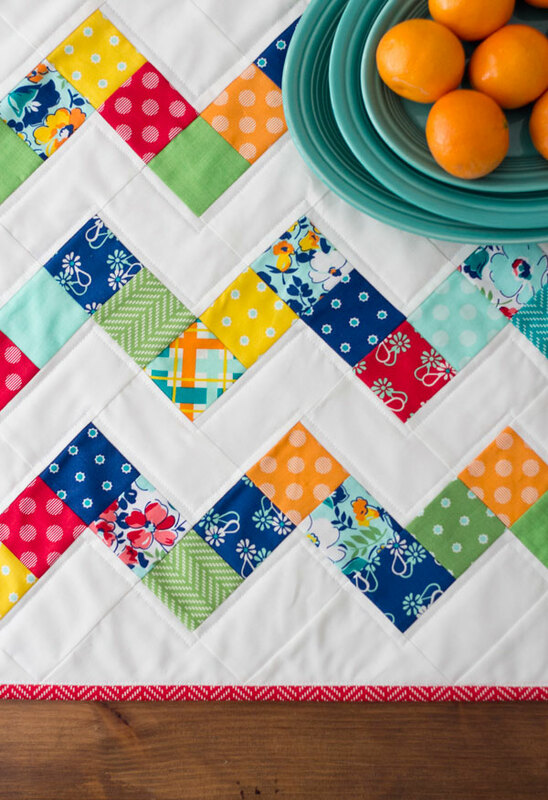 Your new fabric line is beautiful and I love, love, love the Diamond Quilt. I will definitely have to get the pattern! I just finished a purple quilt for my daughter’s friend who is graduating from medical school this spring and whose favorite color is purple. But now I love these purples! Looks like I’ll be making another purple quilt! ahhh, I love your new collection, such a great mix of colours ! Congratulations ! and, you really made my day with that picture of Jane all smiley in her new dress, she just exudes happiness. LOVE this new line! I’m new to quilting (at age 63!) and love to use vivid, bright fabrics for my projects. All of the colors are perfect and I plan to grab some once it is available. Please, do post more photos–never apologize for sharing joyful, beautiful, colorful, inspirational photos! I think this is your best line yet, seriously! And so great to pair the aqua with the purple. Your girls are beautiful and it’s been a pleasure to watch them come into this world and grow – thanks for sharing. I love the new fabrics – gorgeous colors! Can’t wait to get some. Congratulations on your 5th. Loving this new collection! It is so bright and cheerful. The whole collection works together, but of course, it can be broken down to darks/lights, or red-tones/blue-tones for special projects! Well done! 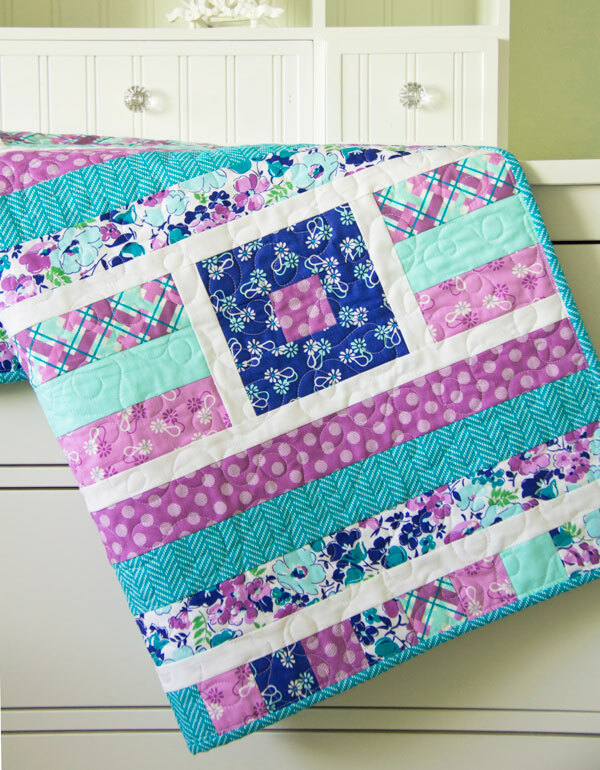 Sharing for you on my quilting page @happyharperquilts! Congrats! Love, love, love these colors…especially the purples. And your children are just adorable! Love your new fabric line. I think it describes Jane perfectly. Happy bright and fun. Cannot wait to get some. The blues and purples are my absolute favorite! Love the new fabric line, especially the purple, teal and acqua combinations. Such a lot of “quilty”, sewing happiness in today’s post. I love your new line and I especially love that you added purple. So many designers forget about it. And of course love all the pictures. 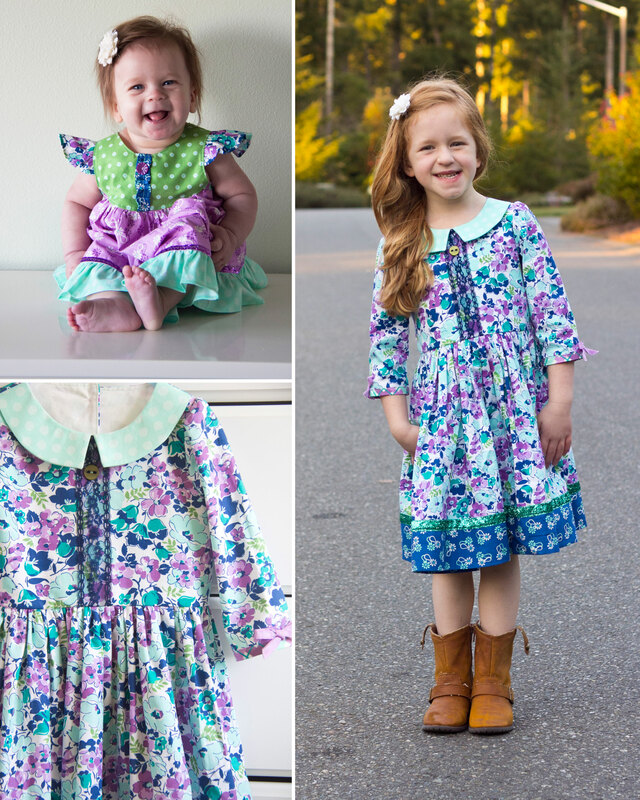 Love your new fabric line – it seems you made it especially for our oldest daughter. She loves anything with purple! Love all the coordinating colors and fabric designs in this line. Beautiful!! And yes, I hear you when making a bag – I’m always happy when it is done, but I’d rather be making a dozen quilts before making another bag :)! Yours is so pretty!! Hi I’ve been keeping an eye out for this collection but haven’t seen it for sale yet. When is it going to be released? I love the pop of purple! It doesn’t come out until May…I’ll post when it is available! Thank you! I’ll fix that! Or maybe her site is down I’ll check now. Thanks! Love, love, LOVE this new line, especially the lavenders and aqua prints. Can’t wait to get my hands on some of this – going off my fabric diet just for these!! I love your new line. I must have it. Who has it on line?